Hospitality staff training is widely considered as a must for anyone looking to gain and retain a foothold in the industry. Over time, this staff essential has become quite clumsy and costly for companies of all sizes. 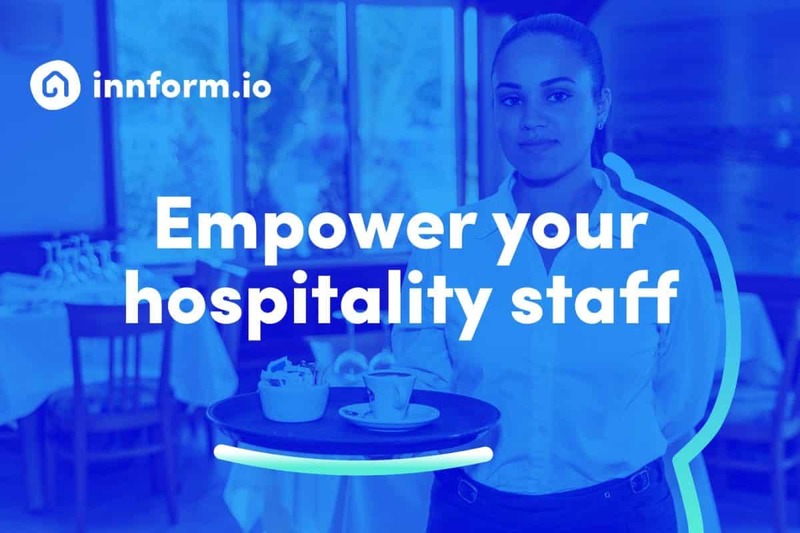 After being part of the hospitality industry for over five years, we decided to address this overdue issue by launching Innform, an e-learning platform that is set to revolutionise hospitality training and service by offering ingenious new solutions while remaining simple, friendly, affordable and accessible for everyone within the hospitality industry. At Innform, our first goal is budget-friendly pricing. We believe that hospitality training for your employees shouldn’t have to cost an arm and a leg. For smaller companies in particular, we want hospitality staff training to remain affordable, which is why we strive hard to keep prices to a bare minimum while remaining fully effective in training your staff. We’re representing flexible, cost-effective solutions that will meet and probably exceed your training requirements. We make it a pillar of our mission to be as accessible as possible to increasingly tech-savvy, diverse staffers. We already offer our services in three different languages and on as many platforms as possible, with a strong focus on mobile. Whatever platform you choose to use and in whatever language you select, your staff will find the experience beautiful, simple, and welcoming. We know the importance of accessibility to the success of training your employees and have made it a dedicated goal of ours to constantly improve and innovate on this aspect in order to reach everyone in your increasingly diverse staff. Compliance training is one of the most expensive and time-consuming aspects of staff training, but with Innform it doesn’t have to be. We’ve crafted compliance training in such a way that ensures your staff stays well informed of the latest requirements in the industry and that relevant resources remain constantly available and within reach. We’re making it easier and more affordable to get your staff fully compliant, with our compliance courses costing up to 50% less than average market prices, without comprising quality. 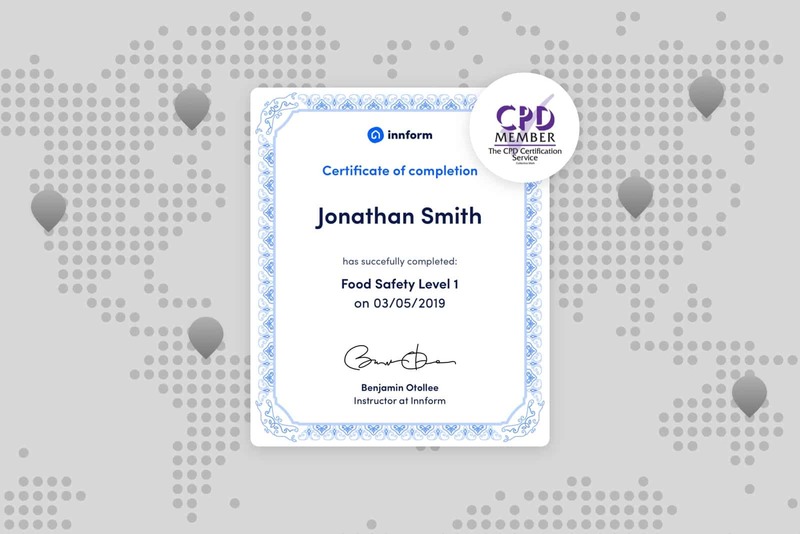 All Innform courses are CPD certified. Innform is more than a capable solution to help you address these and other problems. Our intimate knowledge and experience of the industry allows us to better integrate key features into our platform for a smooth, convenient, and totally immersive experience. At Innform, we know exactly what you want before you do. Finally, we realize that we’re part of a community, that is used to training solutions that are ready to evolve and brought into 2019. This drives our mission to revolutionise hospitality training with a platform designed by people in the industry, for people in the industry. We can’t wait for more hospitality companies out there, big or small, to join our fast-growing community of progressive, pace-setters training their staff on the go, in their language, for next to nothing. Create your FREE account and join the hospitality staff training revolution today!